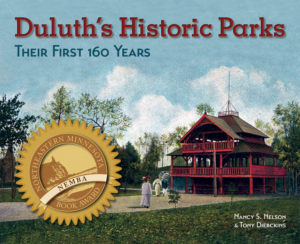 The Duluth Board of Park Commissioners hired sixty-five-year-old Henry Cleveland as the city’s second park superintendent in October 1909. Retaining his position as park superintendent when responsibility for the parks shifted from the park board to the mayor in 1913, Cleveland provided the continuity needed to keep the park system on track. As the growth of recreation and the availability of automobiles changed the way people used the parks, he was involved in many new and innovative projects, including the creation of the city’s first bathing beach, playgrounds, and tourist camps. 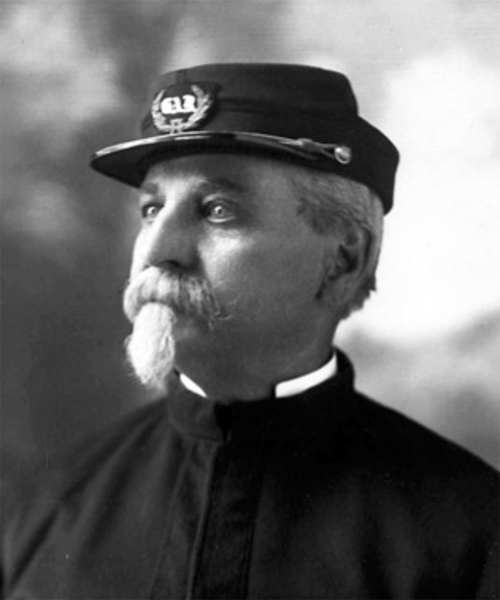 After arriving in Duluth, Cleveland continued his work as a landscape gardener and was unanimously selected as Henry Helm’s successor as park superintendent in October 1909. Cheerful, creative, and practical—and occasionally a bit old-fashioned—Cleveland quickly became a beloved local personality. Henry and his wife Julia lived on the east side of Chester Creek just below Eighth Street. They fed the birds every winter, in their yard as well as in Chester and Lincoln parks. “Captain Cleveland makes his home in a very pretty little bungalow, familiar to thousands, at the edge of Chester Park,” the News Tribune reported. “Birds have come to recognize this institution as a place where they are always welcome…. In addition to this winter feeding ground, Captain Cleveland maintains a veritable municipality of bird homes, which invariably reaches capacity in the summer.” Cleveland paid the bills for maintaining all the feeding stations, which he referred to as “lunch counters.” In the winter of 1920, because deep snow covered the birds’ usual food sources, he enlisted school children to help feed the birds and encouraged them to keep track of the species they identified. By the end of that season he had distributed two hundred pounds of bird feed. Cleveland regularly offered creative proposals for a municipal swimming pool, usually as part of a larger convention-center complex. He first suggested building a pool at Lake Shore Park (today’s Leif Erikson Park), then at Lafayette Square on Park Point, and then in the area that later became Enger Park. These dreams were never realized, but in 1915 he did succeed in opening the city’s first bathing beach at Indian Point on the St. Louis River. In 1917, as war in Europe began to impact the world economy, Americans were encouraged to grow more of their own food in backyard “victory gardens” as a way to save money and reduce pressure on the public food supply. Cleveland helped to create the city’s first community garden program when he spearheaded a project to make land available for family vegetable gardens. He opened a thirty-acre parcel of city-owned land in the West End, located below the parkway between Piedmont Avenue and Coffee Creek. The land was divided into 150 plots, each approximately 25 feet square. These free garden plots were available for use by people who did not have garden space adjacent to their homes. Henry Cleveland was also an inventor. A 1921 headline in the News Tribune proclaimed “Cleveland Invents Road Signal to Cut Hazards of Traffic.” When warning signals were needed at a dangerous corner, he objected to the $12 cost of purchasing them and invented his own, manufactured for about $3 each. His signals were made up of round iron pans resembling searchlights mounted on red painted poles. Inside sat a reflector covered by red glass. When the sun shone on the reflectors, they glittered “like balls of fire.” At night, the light from automobile headlights created a flare that could be seen for more than a block. Duluth citizens regularly lobbied the park board to provide band concerts in the city parks. Cleveland supported the idea, but he estimated that $1,200 would be needed for twenty-four summer concerts at Lincoln, Fairmount, and Lester parks. Because the park department had a limited budget, he suggested using “phonograph concerts” as a cheaper alternative. In 1921 he implemented this idea and installed phonographs and amplifiers in parks so music could be available without a live band. The first phonograph concert was held on a Sunday afternoon in June at the Lincoln Park pavilion. Henry Cleveland was buried in Forest Hill Cemetery. In keeping with his sense of humor, creativity, and love of the natural world, the Cleveland family plot is marked by one of the most unique headstones in the entire cemetery: a large boulder mounted on a simple slab bearing the family name.